From the Facebook page of SAS Cupcakes, with locations in Newark, Delaware and Charlotte, North Carolina, news of a special charity cupcake through tomorrow only. Locations and contact info on Facebook or at sascupcakes.com. Show your Sweet Support this weekend for the victims of the Boston Marathon Tragedy. 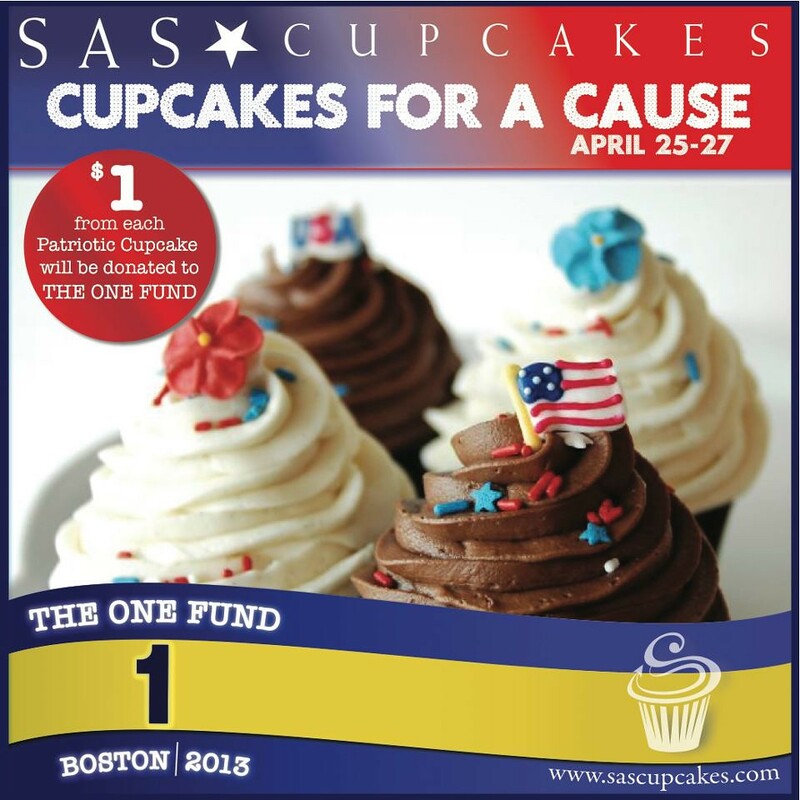 SAS Cupcakes will donate $1 for every Patriotic Cupcake sold to the "One Fund of Boston!"